Description: This is a sword unlike any other. When looking at it it appears to look like any other simple katana. However upon a closer look you see that the metal its made out of is no metal at all, but several thousand small fangs. The handle of the blade is a deep black color and the blade appears to be a shining silver. Abilities: The blade's main ability is to shred the skin and flesh instead of cutting it. However it has a hidden ability that few know about, it can absorb elemental attacks sent at it. Depending on the element it will gain different abilities, however it can only hold one ability at a time and for a max of three posts per attack it absorbs. Description: These appear to be two thin steel blades about 4.9 feet long that look much like the Nubari. However upon being used to fight the two blades unfold into two 9.8 foot long wire whips. Abilities: These whips main ability is there conductivity, these blades easily chance chakra and regardless of the user's nature affinity turn the chakra into lightning. 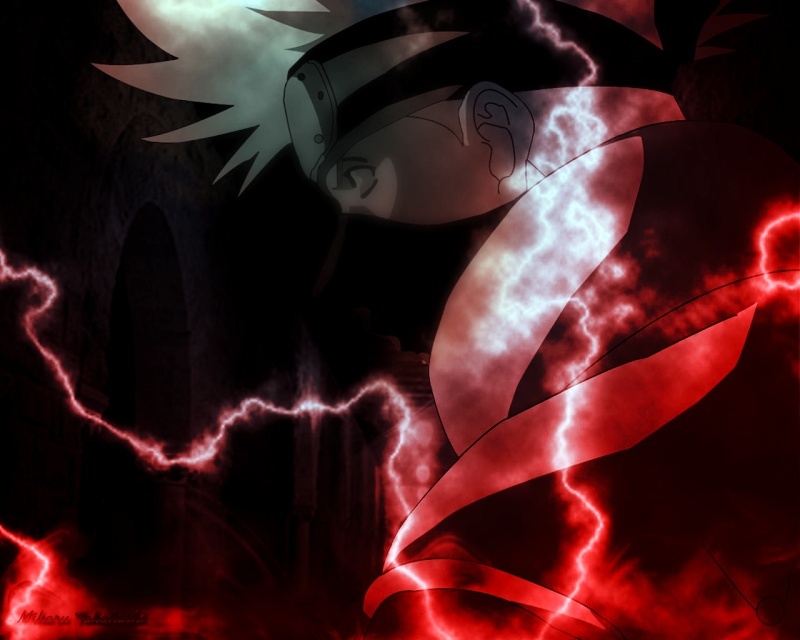 All jutsu utilized by this weapon are considered C-B rank jutsu if used by a ninja without a natural affinity to lightning, but if used by a person with a natural affinity to lightning the jutsu strengths can vary anywhere from C-S rank. Description: A pure black straight hilt-less sword(much like sasuke's kusengai) with a pure black sheath. Abilities: The sword along with being indestructible, as the name implies creates a black ash that lingers in the air. The ash can be manipulated like gaara's sand and used for different jutsu. Deva Path - Manipulates Gravity and can use all of the skills Ochita has that are not acquired from the other paths. Animal Path - This path has several summoning contracts and requires no hand seals or sacrifice to summon them. Asura Path - Manipulates the "Explosion Release" and "Exploding Clay"
No wealth, no ruin, no silver, no gold nothing satisfies me but your soul. My name is Death and Your end is Here.